How to watch LEGO: Elves (2015) on Netflix Netherlands! 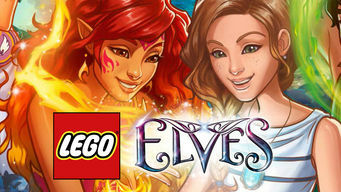 Yes, LEGO: Elves is now available on Dutch Netflix. It arrived for online streaming on October 15, 2017. We'll keep checking Netflix Netherlands for LEGO: Elves, and this page will be updated with any changes. A shy girl grieving over the loss of her grandmother is lost in a magical realm, where she enlists the help of four elves to get her back home. When you're stuck in a strange world, the strangers you rely on could become the best friends you ever had.